In our last column under this section we learned about key square. Today's our topic is opposition but in relation with key square. This kind of understanding has more practical value. 1. 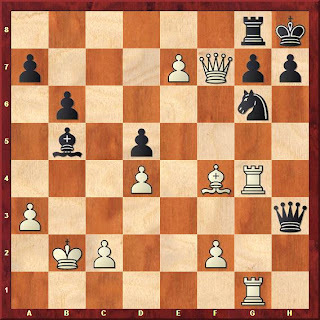 If you are on stronger side and you have opposition means you can occupy the key square so can promote your pawn. 2. 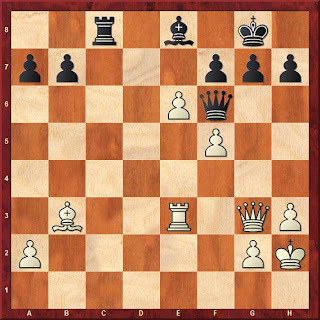 If you are defender and you have opposition means you are not allowing your opponent to occupy the key square so preventing him/her to promote pawn. 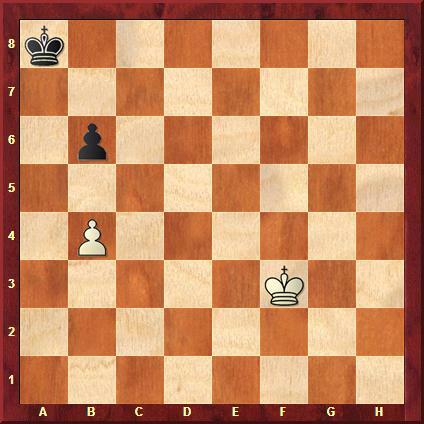 If you haven’t any idea of Key Square kindly read our previous study on endgame here. Opposition means two kings face each other on a rank or file with odd number of squares (1, 3 and 5) in between them. 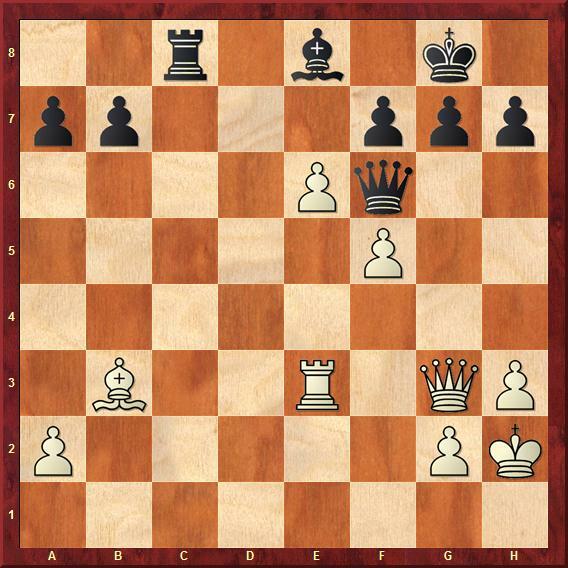 In a more simplified language opposition is tool to occupy Key Square with your king or to prevent stronger side to do so if you are defender. 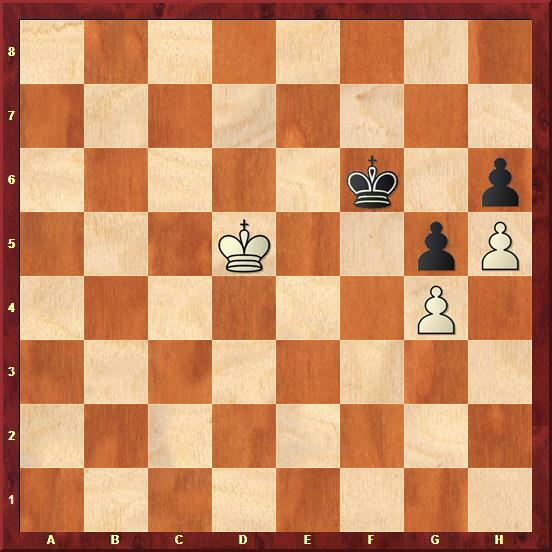 The side that has not to move has the opposition. 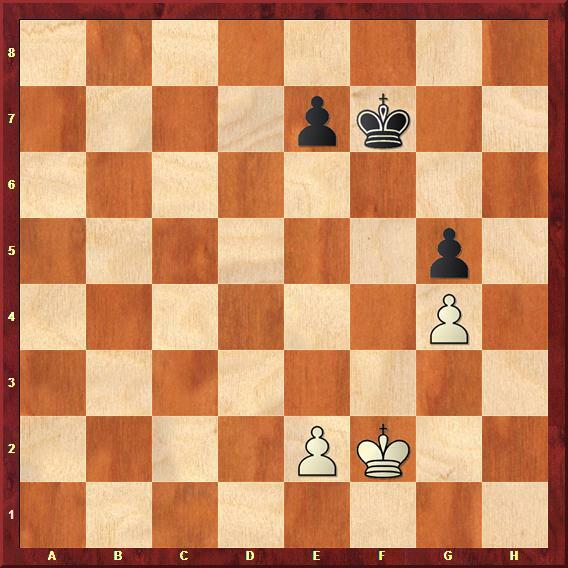 In the diagram if it is white’s turned to move than black has the opposition and vice verse. 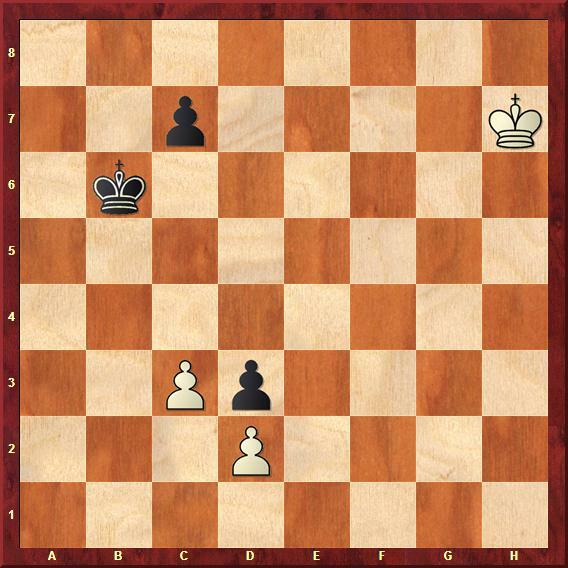 Direct Opposition – Distance between kings is of a rank or file. See the diagram. It is black to move so white has direct opposition. Distance Opposition – Distance between Kings is of more than a rank or file with odd numbers. See the diagram. It is often used to achieve direct opposition. Here with white to move, white can achieve distance opposition by playing Ke2. Diagonal Opposition – Distance between kings is of a diagonal rather than file or rank called diagonal opposition. See the diagram. It is often used to achieve direct opposition. 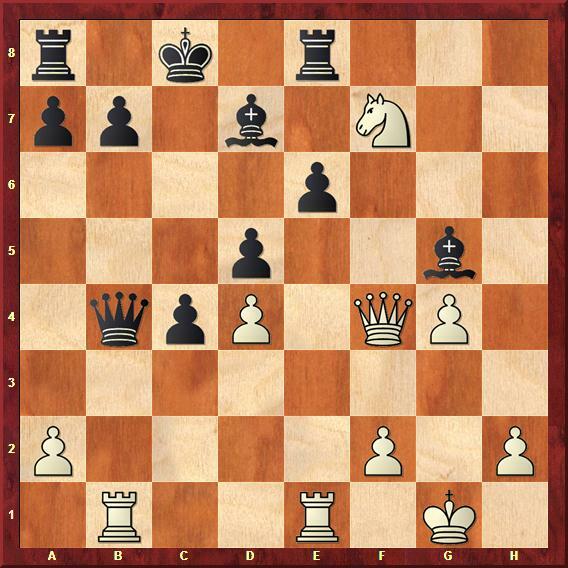 Remember: Opposition is a tool which can be used to achieve or penetrate to Key Square. 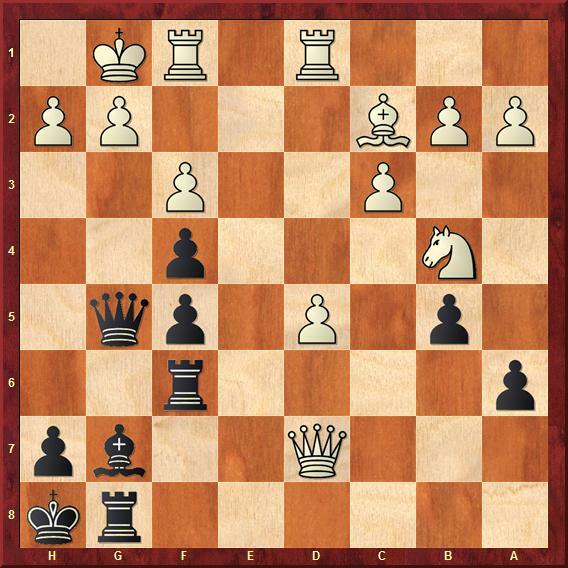 So when ever you have chance to occupy the key square just go for it rather than getting opposition. Below is the simplest example given by Yuri Averbakh to understand. In the Given Position. 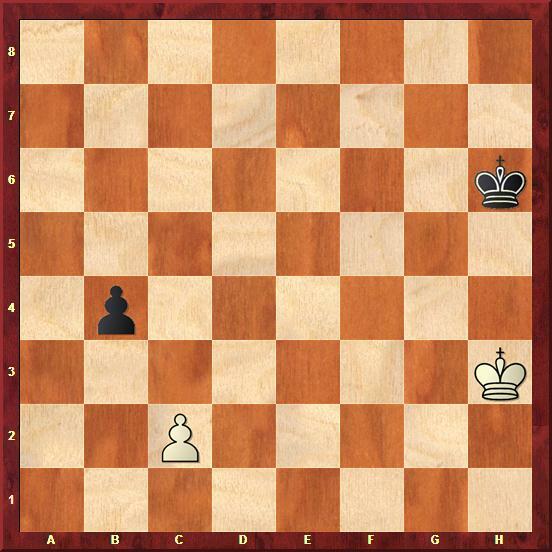 if white playing Ke4 and gaining the opposition which is blunder because of 1. Ke4 - Kd6 2. 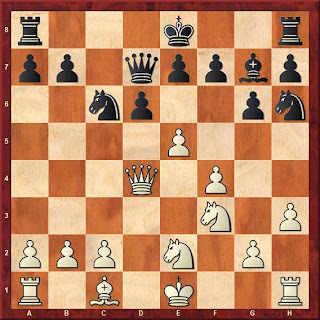 Kd4 - Kc6 and result is draw so white should go for Kc5 followed by Kb6 which is the key square for c4 pawn in order to win the game. 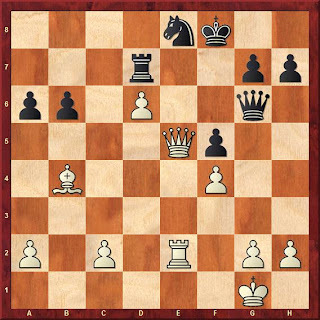 Game 1 : In this game between Paulsen and Hengstenberg white sacrificed his rook for knight just to gain opposition and to win the game. 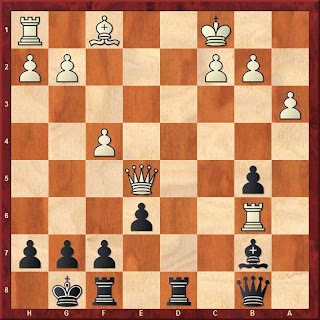 Game 2 : In the game between Anderssen and Riemann, Anderssen offered rook exchange on b4 after which Riemann easily gained the opposition which resulted into full point. Solutions will be published in next endgame study section. 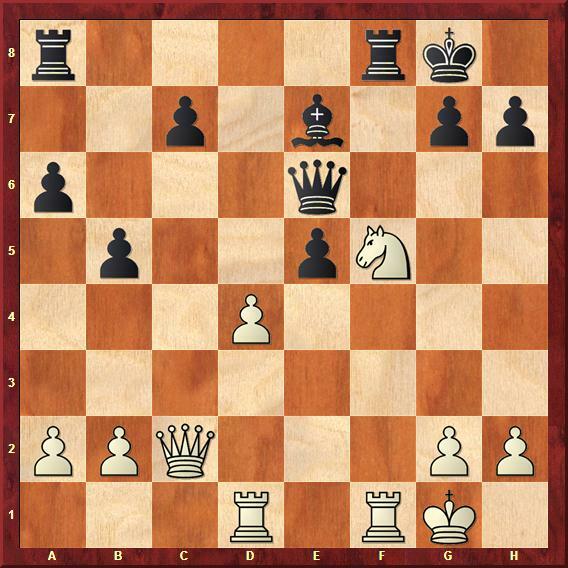 There are too many articles written on prophylaxis thinking in chess but how it can be explained in simplest terminology? The simple answer which a lay man can understand is ‘Prevention is better than cure’. I hope you understand the concept. You are not allowing your opponent to create threat against you or you are not allowing your opponent to place their piece in decisive square or position or even you are stopping your opponent to improve his/her position called prophylaxis. Now when you understand what prophylaxis thinking is, the major thing you need to do is, implementing the same in our game. As we all know planning is not a hard task to improve your chess but execution/implementation is the problem. 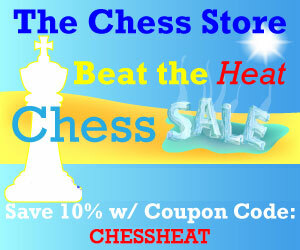 Endgame study will help you to clear your basic concept about endgame as well as sharpen your calculation skills. 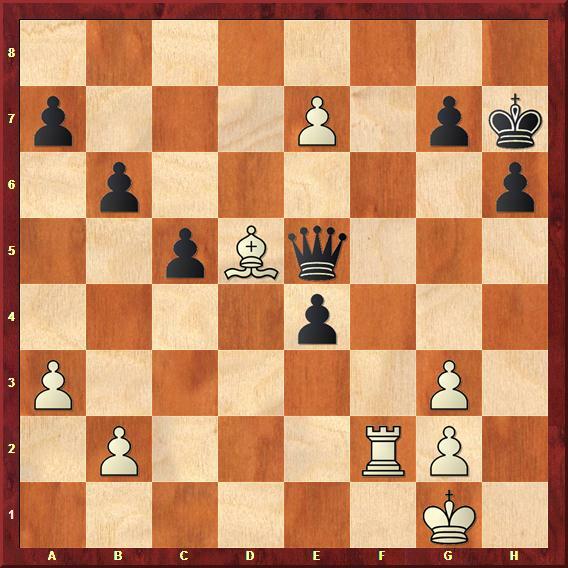 Capablanca the great end-game player of the century has also suggested learning endgame first in his book chess fundamentals. What we will do is, first we will introduce concept and on the same concept we will provide three puzzles. The answer will be provided on next endgame column. 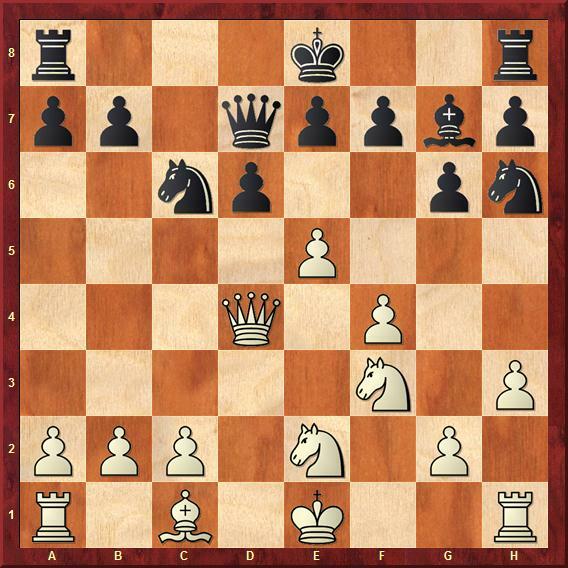 Before staring writing on this, I under stand that you know about the all basic rules of chess like how piece move, capture, castling etc etc. 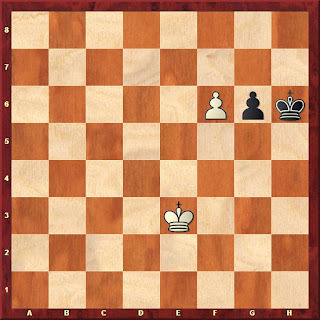 Under king and pawn ending today we will discuss about key square. 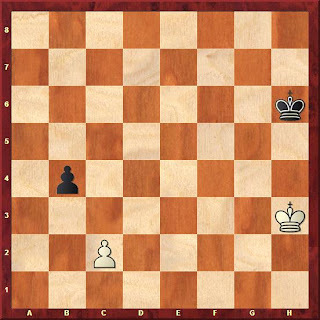 Key Square is the square where if stronger side of the king occupy that square, pawn can be promoted by force to the next stop or next square. Location of the key square depends upon the pawn position which can be categorised in below mentioned ways. A pawn which is in its own half of the board has 3 key squares. 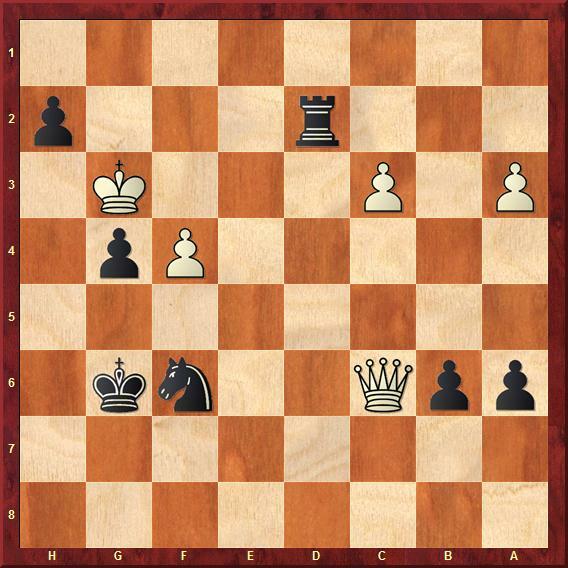 Similarly we can see in both diagrams, Key Squares are displayed by dark circle: two ranks ahead of the pawn on its own file and the two neighbour files. 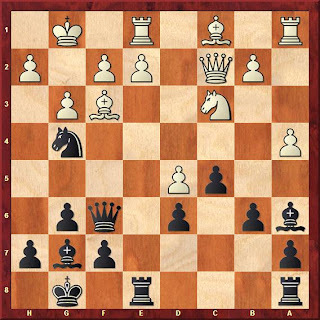 A pawn which is in opponent’s half has six key squares which we can see in diagrams; marked by dark circle. 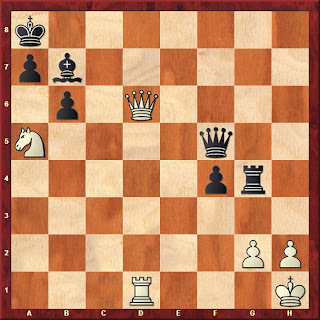 For the 7th rank there are 5 key squares as 6th square will be occupied by pawn it self on 7th rank. 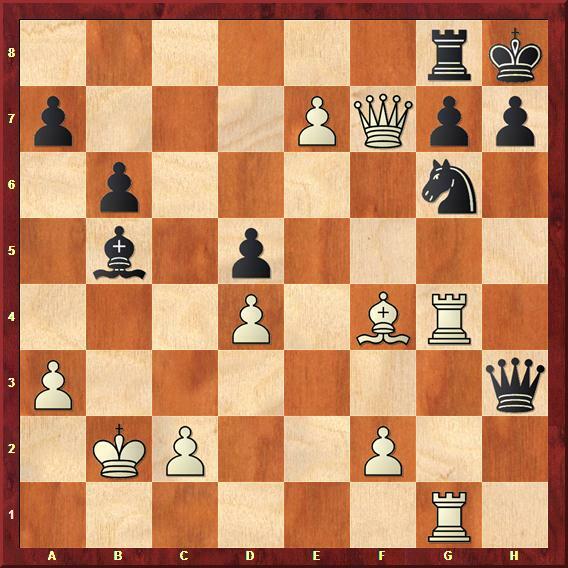 As we all know rook pawn is very hard to promote so has less key squares and relatively harder to reach as compare to other pawns. The key squares of the rook pawn are fixed irrespective of their position of the rank. 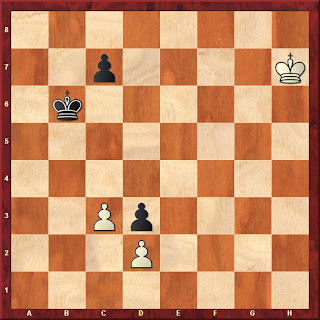 If white king can reach to the squares marked by dark circle pawn can be promoted but if black king can reach to the squares marked by ‘X’ he can defend adequately. There is an exception to the key square rule with the knight pawn on its sixth rank where you must be alert for stalemate trick as you can see in the diagram where if it is black to move, the game is draw because of stalemate whether white king is on f7 or f8. Now try to solve below 3 test positions. Answers will be published on next Endgame Study article.